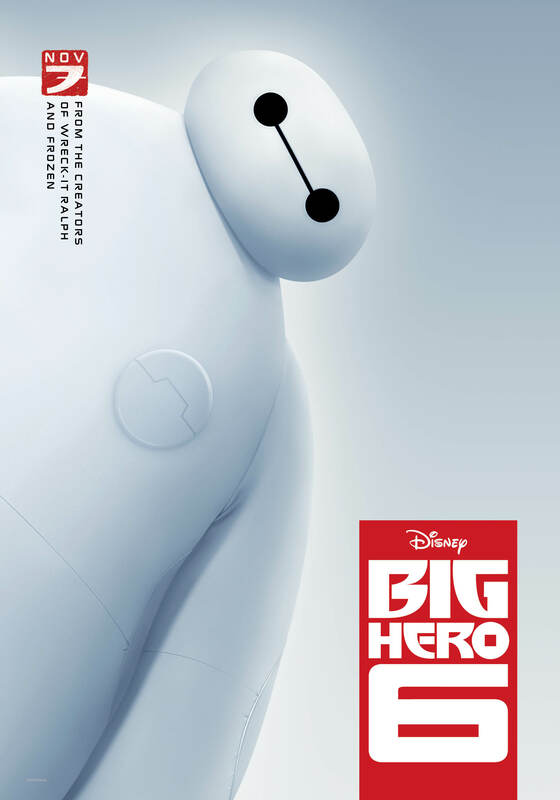 Big Hero 6 teaser poster (2014) | 'TAIN'T THE MEAT… IT'S THE HUMANITY! 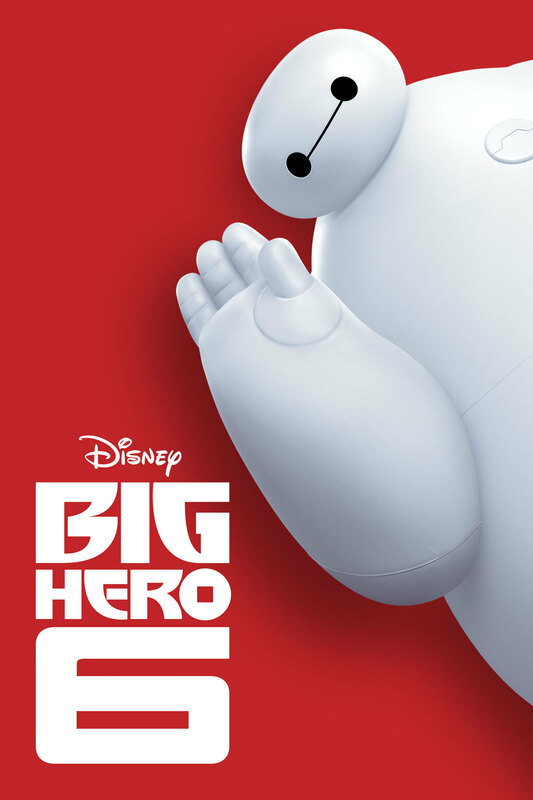 Today it’s the turn of Big Hero 6, the 54th film in the Walt Disney Animated Classics series, and their first to feature super-heroes. Starring the voice talents of Scott Adsit, T.J. Miller, Alan Tudyk and James Cromwell, and directed by Don Hall and Chris Williams the movie portrays the adventures of a team of heroes in the fictional city of San Fransokyo. 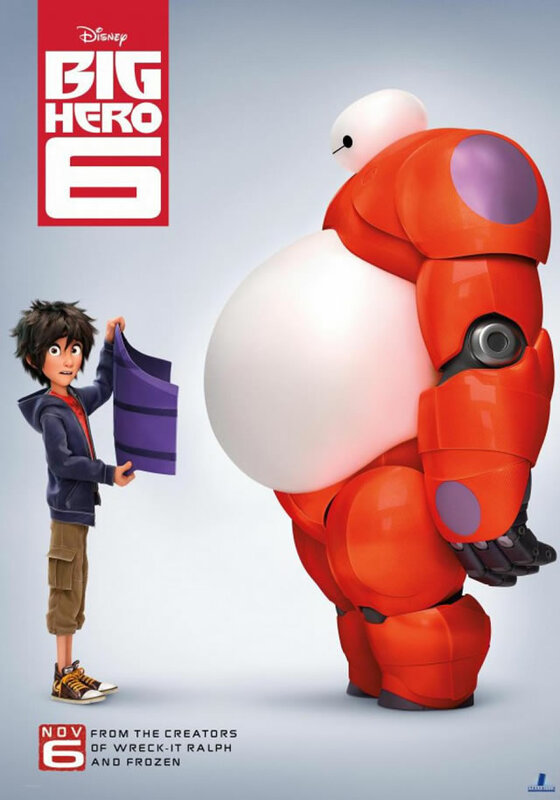 Although the creation of the team, and their battle against a mysterious kabuki-masked villain, made for a fun and action-packed movie few would argue that the heart of the film is the relationship between Hiro and Baymax, a young genius and the large inflatable medical robot he befriends. It’s only fitting then that this teaser poster should feature both characters. Well, sort of. 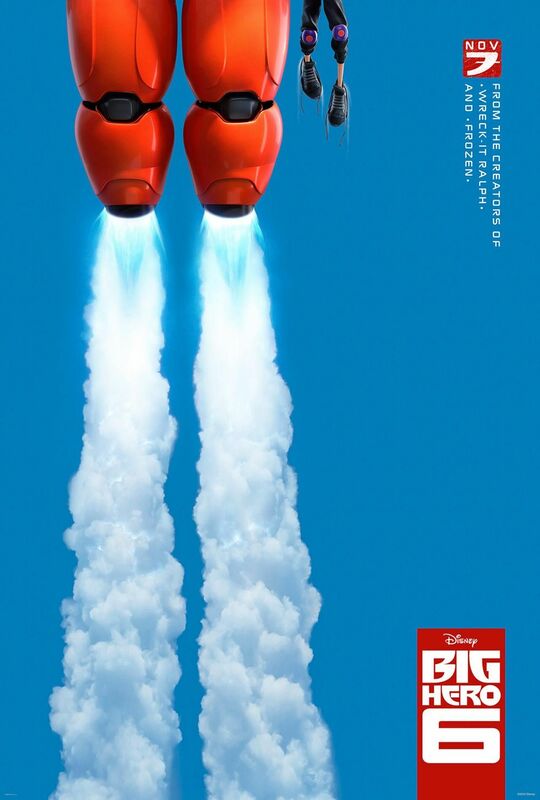 The poster actually shows a background of blue sky with only the feet of Hiro and Baymax visible as they blast off through the top of the poster. It’s a fun, yet bold image that hints at the movie’s sense of adventure, and it works perfectly well as a teaser poster. 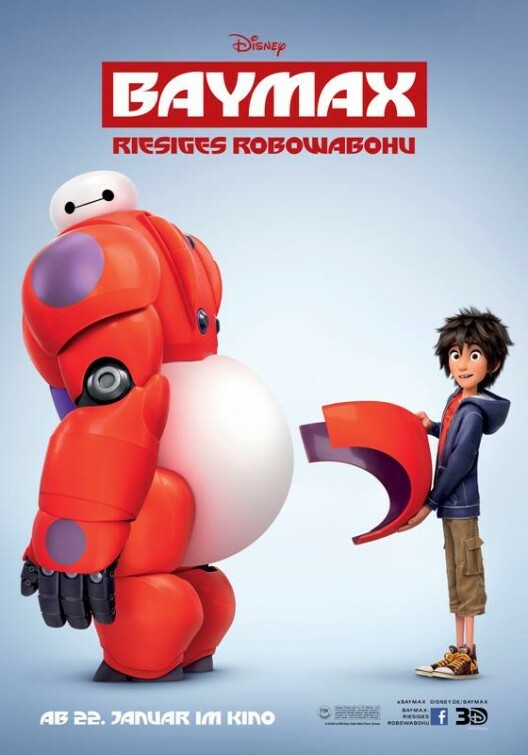 Disney’s marketing department clearly believed that Baymax was the movie’s MVP (in some countries the film was even retitled Baymax) and so the marshmallow-looking robot featured on many of the posters released to promote the film, both in the US and abroad. Disney also released a selection of character posters that rather neatly fit together to form one giant image (that poster and some featuring Baymax are shown below). Big Hero 6 has a commercial and critical hit for Disney, raking in over $650m at the box office and there’s talk of a sequel — Big Hero 6 2 maybe…?